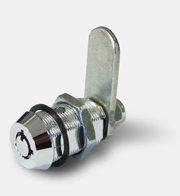 Industrial Lock & Hardware Inc. – Quality Locking Solutions. 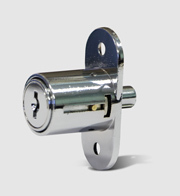 We are a lock manufacturer specializing in cam and specialty locks for O.E.M (Original Equipment Manufacturers), locksmiths and End Users. Copying, keys only available through factory. Resistant to glue, dirt, corrosion and other contaminants. Custom cam (locking arm) dimensions. 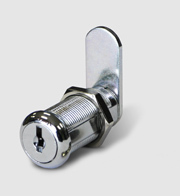 3 different lock sizes available, 5/8″, 7/8″, 1-1/8″. Over 1,500 magnetic locking combinations. Available in 5/8, 7/8 & 1-1/8. Available in Black and Nickel finishes. Available in 7/8" barrel length. Our locks are hand assembled in our facility in sunny Palmdale California. 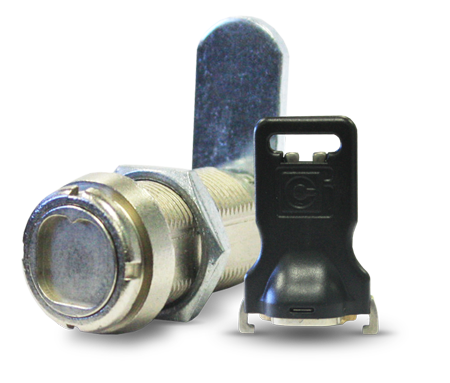 The components a wholly obtained from North American and overseas suppliers. 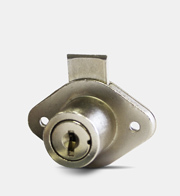 All of our locks are RoHS compliant. No matter is you order one or two thousand locks, your order will be given the same level of importance. We guarantee fast order processing and the fastest lead time when possible. Our Customer service is unsurpassed. We have well trained customer service representatives that are ready to help you with your next project be it large or small. ©2019 - Industrial Lock & Hardware Inc.